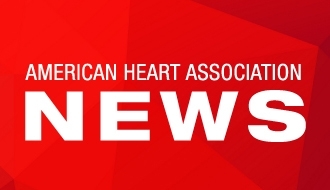 "Chairman Neal, Ranking Member Brady, and Members of the Committee, my name is Andrew Blackshear, and I have been a volunteer with the American Heart Association since 2017. Thank you for the opportunity to testify today about the life-saving importance of quality, affordable insurance coverage for people with pre-existing conditions. "Until a few years ago, I had never thought about what a pre-existing condition was, let alone how it would impact my ability to get health care. I was a healthy 27-year-old in 2015 when my health took a dramatic turn for the worse. I was at home after a long night of restaurant work, and as I leaned over to untie my shoes, I felt chest pain. The pain continued the next day, and I came down with a severe fever. I stayed home from work for a few days to get some rest, but my fever kept climbing, eventually going above 103 degrees. "I was worried I’d lose my job if I didn’t get back to work. On my first night back, I collapsed on the floor of the restaurant in response to fluid buildup between the heart and pericardium, the membrane that surrounds it – a condition I later learned was called cardiac tamponade. I went to urgent care the next day and was told I had a heart murmur. An echocardiogram revealed that I had inflammation of the pericardium. Essentially, fluid had built up around my heart, making it much harder for my heart to do its job. The pain I had been feeling in my chest was coming from my heart struggling to beat while encased in excessive fluid. "I didn’t know it at the time, but I learned later that I had contracted an infectious fungal disease while driving through California’s San Joaquin Valley in August, weeks before. The condition, known as “Valley Fever,” is caused by inhaling fungal spores that are released from the dry soil. It was likely that just by breathing the air coming through the car vents during my drive, I had infected my lungs. When the spores disseminated in my lung tissue, I developed fungal pericarditis and was left gasping for life. "Treating my condition was a huge challenge. A cardiologist first gave me ibuprofen and various other anti-inflammatory medications in the hopes of reducing the fluid. But over the next few weeks, my blood tests and symptoms only got worse. I needed emergency open-heart surgery. My doctors told me they would cut a “window” into my heart lining and remove the fluid, relieving the pressure on my heart and hopefully giving me my life back. "Within weeks I would need a second emergency surgery, but I was fighting for more than my health. I was also fighting to get access to the care I needed. In early 2015, I had purchased a short-term health insurance plan. My family had been encouraging me to get insurance since I turned 27 and was no longer eligible to be covered under their plan. After a minor skiing accident, I met with my family’s insurance broker to explore my options. I had missed the open enrollment period for Covered California – the state’s ACA insurance marketplace – so my broker suggested that I enroll in a short-term plan. He was pretty thorough, but I wasn’t educated enough at my age to understand the intricacies of health insurance. "Shortly after the fungal infection was diagnosed, medical bills started pouring in. I knew my short-term plan had a high deductible, around $5,000, so I paid it. But then I started receiving letters from the insurance company asking me for more information and demanding that I prove my heart problems weren’t caused by a pre-existing condition. I kept getting the same letter, over and over, saying the insurance company wouldn’t pay my medical bills until I could show I didn't have a pre-existing condition. I felt the company was just waiting for me to give up. "But I didn’t. Still recovering from my first heart operation, I had to go to every doctor I had ever seen – office to office – to collect the information my insurer was demanding so my medical care would be covered. I even had to visit a pediatrician I hadn’t seen in over 15 years to request papers that turned out to be locked in a separate facility. I owed nearly $200,000 in medical bills but my insurer was doing everything it could to avoid paying. It was as if my health was being held hostage by an insurer who was supposed to help me get better when I got sick, but instead was leaving me out in the cold. The company finally agreed to pay for my care after I requested the state of California to help me take them to court. "When open enrollment began in November of that year, it felt like Christmas. I now had a pre-existing condition, although I didn’t yet know what it was. I enrolled in a plan, started paying my premiums, and continued to see my doctors. But there was one huge difference. My ACA plan did what it was supposed to do. It paid for my doctors’ bills instead of punishing me for being sick. No more calling around to my old doctors’ offices, no more collecting and sending in paperwork, no more anxiety over whether I could afford to get better. "Although my first surgery took some of the strain out of breathing, the relief was temporary. I never felt I had fully recovered as other symptoms began to appear. I had a tender stomach, extreme fatigue, swollen ankles and trouble breathing. I know now that these are classic symptoms of heart failure. Weeks after my first operation, I flew to Minnesota to be treated at the Mayo Clinic and was diagnosed with constrictive pericarditis, which was causing my left and right ventricles to fail. I underwent my second open-heart surgery to remove the sac around my heart completely. "While I was there, the incredible team of physicians diagnosed me for the first time. The Valley Fever fungus – which is officially called coccidioidomycosis – had infected my lungs and then my heart. The best part about that second surgery was feeling better, hands down. But the second-best part was knowing that I wouldn’t be bankrupted just because I had gotten sick. "What happened to me under my short-term health plan is what happened to millions of people with pre-existing conditions before the ACA went into effect. Going from that experience to having coverage under an ACA plan with protections in place for people with pre-existing conditions was like night and day for me. Thanks to the Affordable Care Act, today I have no medical debt – and I’m healthy. But I will always be without a pericardium, so having health insurance that covers pre-existing conditions remains a necessity for me. "My experience with heart disease led me to join thousands of other patients, caregivers and loved ones as a volunteer with the American Heart Association. I also help out at my local John Muir cardiac conditioning center. I urge lawmakers to make sure pre-existing conditions are covered. No one should face the prospect of being unable to afford the care they need to stay alive. "Thank you again for focusing on this critical issue. I look forward to your questions." 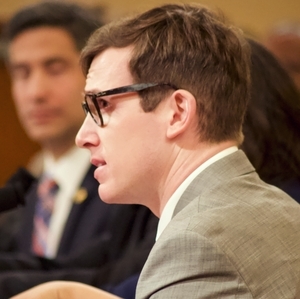 Andrew Blackshear, an American Heart Association volunteer and heart disease survivor, testifies before the House Ways and Means Committee "Protecting Patients with Pre-Existing Conditions" hearing.